1. Tell us about your success journey as the one and only Dr. Fiorella Terenzi. When do you choose to come to America from Italy and why? I was born in Milan, Italy. As a young child, I spent the summers in the countryside outside Milan, Italy with my grandmother. It was she who first introduced me to the wonders of the night sky. She showed me that reason and imagination are not enemies. Later one while a student at University of Milan and UC San Diego I kept in mind those teaching. Pioneering “Acoustic Astronomy” was for me just one way to look at the Universe with different eyes (or better, ears). 2. What advice would you give to someone who likes to follow your footsteps as a leading doctor in your field recognize as 2018 Outstanding Faculty Torch Award in Florida International University? My advice is to seek new way to unite knowledge and emotions in what every field you are. As an astrophysicist I use performance art, creative design, music, storytelling to teach science. Keep pushing the duality that traps us in. Keep stretching old stereotypes until they disappear. Be unique and original. 3. What do you do on the daily basis to keep a healthy lifestyle and sleep over 8 hours a day ? I work out in my living room 15–20 min daily either doing zumba, yoga and pilate classes from youtube. I don’t push or strain my body. I eat lean, simple and basic food. I stay away from sugar bombs and hydrogenated fat. I purify my heart daily by trying to do better. 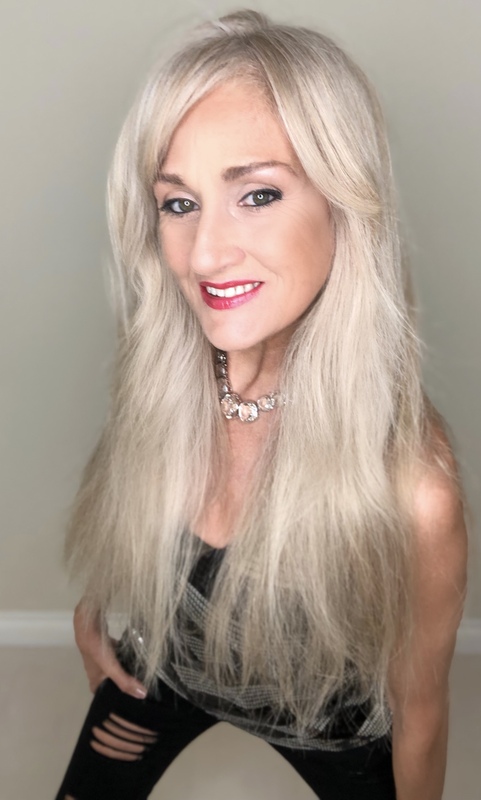 Internationally-renowned astrophysicist, author and recording artist, Dr. Fiorella Terenzi has a doctorate in physics from the University of Milan. In research at University of California, San Diego, she pioneered techniques to convert radio waves from distant galaxies into sound — released by Island Records on her acclaimed CD “Music from the Galaxies”. Her award-winning CD-ROM “Invisible Universe” (Voyager Company) and best-selling books “Heavenly Knowledge”, “Musica Dalle Stelle”, & “Der Kosmos ist weiblich” (Harper&Collins) weave astronomy and music, science and art into a tapestry for the senses. She has appeared on CNN and in The Wall Street Journal, People, Time, and Glamour, and lectured at UCSD, Stanford, and MIT. Dr. Terenzi’s ground-breaking video for fashion designer Ermenegildo Zegna’s Men’s Collection was described by the New York Times as “Zegna’s Very Big Bang”, and her high-energy show “Let’s Get Astrophysical”, performed at the Miami Beach Centennial. As a recording artist, she has recorded “Quantum Mechanic” and “N.E.O” tracks for Billboard Top 20 Music Video “The Gate to the Mind’s Eye with Thomas Dolby (Giant/Warnber Bros. Records); Beyond Life, a Mercury Records dance/trance CD tribute to Dr. Timothy Leary (Polygram Records); “Trance Planet Vol. 5” ( Triloka Records) and others. Terenzi’s global media appearances include television and radio features on The Dennis Miller Show, Sci Fi Channel, NPR Talk of the Nation, Weekend Edition and Science Friday, Newsweek on Air, Strange universe, History Channel’s “The Universe and “Ancient Aliens and others.